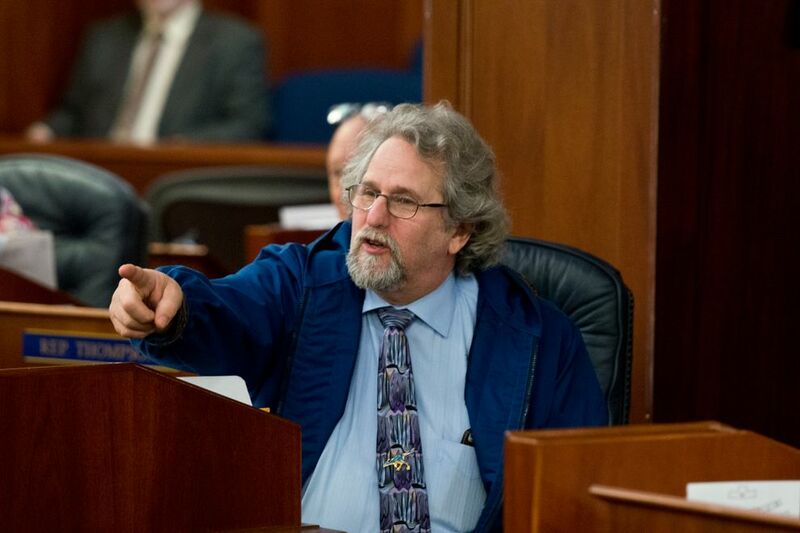 Fairbanks Democratic Rep. David Guttenberg was in "good spirits" at a Juneau hospital Thursday after being taken from the Alaska Capitol in an ambulance, said a spokesman for Guttenberg's House majority caucus. Guttenberg stepped out of a committee hearing Thursday afternoon after experiencing "some sort of unknown medical emergency," said the spokesman, Mike Mason. "The paramedics were called, they responded and he was taken to the hospital, where he is right now for evaluation," Mason said. "He was conscious and he was in good spirits, and he was lucid and joking." Guttenberg is 66. He has been in the state House since he was first elected in 2002.